Alright.. So time to move on to a topic of our daily choice. It’s only a choice(a free choice) and it’s befenits are simply countless. Well, we’re going to discuss on positive attitude.. The idea about me writing on positive attitude came from a declamation contest that was held in my school. It was inter-class(XII standard) contest and 20 students(out of about 250) participated. I, too, participated.. and well! I’m no good speaker.. and I was settled at the 4th position. Maybe, because I crossed the alloted time for speaking which was just 5 minutes. When our attitude is right, we realise that we are walking on acres and acres of diamonds. Opportunity is right under our feet. And! All we have to do is to recognise it. Respected Sir Principal, Honorable Teachers, Worthy judges and Yes! Ofcourse.. All my dear friends! Today, I, Kamalpreet Singh, a scholar of class XII-D is standing in front of you all to speak on “Positive Attitude and it’s Benefits”. So, What’s attitude? As my pocket oxford dictionary defines it, attitude! Is a way.. of talking, thinking and behaving! However! I believe it’s significance in our lives is much more than that. Our attitude itself is our way of life. Friends, as you see, we have a choice.. a choice everyday! Regarding the attitude we hold for that day. And as they say the only difference between a good day and a bad day is our attitude. Let me give you an example of my friend who is a good badminton player(I was referring to myself though) often going for various matches. We all know that one cannot win everytime, and losing.. Is a harsh feeling, of course. So, what does he do when he loses a crucial match? Does he cry? No..! Does he become upset and reclusive? No..! Instead.. He inspires himself that he’ll work harder and improve his skill, so that, he performs better next time and wins. And this is how, his positive attitude, helps him in overcoming problems and coping up with stress easily. So, our attitude determines outcomes. And, this truth, is accepted by most successful people of the world; whether it be a doctor going for an extremely difficult surgery or a businessman launching a new project. It is the correct attitude which gives them the winning edge. Let’s see… the industrialists, the big business houses.. they often set up huge plants and invest in new projects. The mobile companies, like samsung, introduce new smartphones every other week. The television channels, like Zee TV, air new serials like Jamai Raja, Neeli Chattri Waale, etc every other day.. And, all this happens with a positive attitude. Just Imagine, what would have happened..If those incustrialists, fearing losses would have never set up new plants and invested in new projects? 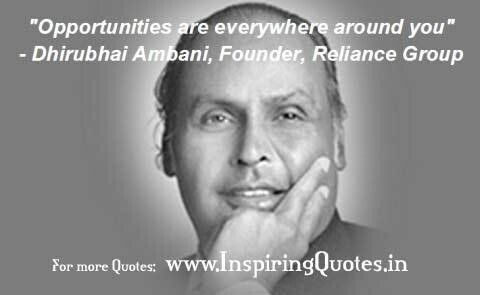 Then, centainly my friends, Mr.Ambani would have never become such a multi-billionaire. Or what if? Our favourite Kapil Sharma, fearing low response from the audience, never worked in Comedy Nights with Kapil? Then, he too would have missed the chance to become so much popular and have a huge fan following. So, when people hold such negative attitudes they restrict themselves.. They lose the opportunity to achieve something! 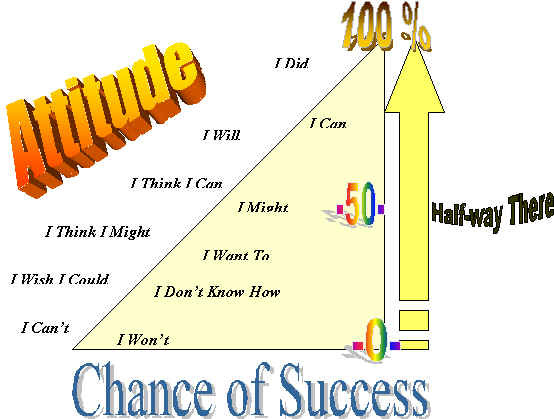 So, a correct attitude, or a positive attitude, is a key to success. In a nutshell.. A positive attitude helps in overcoming our problems easily, coping up with stress, is a key to success and helps in maintaining healthy human relationships. So, cultivating a positive attitude is like ploughing a field…It takes time.. It has to grow from within..Inspiration is what gets a man started..Motivation is what keeps him on track..And It’s positive attitude which makes it all automatic.. Thank You! And adopt a positive outlook towards life! After that I was asked a question.. 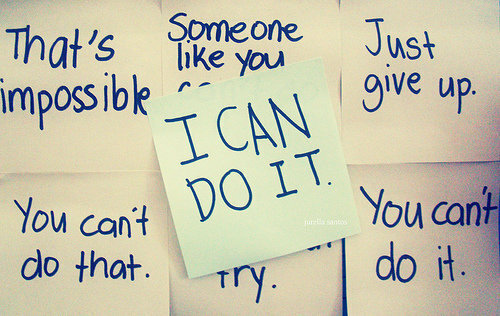 Question: Does positive attitude ensure success? Success is a matter of personal opinion and conception.. It depends on what we understand as being successful(most often it’s one’s goal). Positive attitude alone is not enough to bring success(as per the person’s definition of success) but it surely is a necessary ingredient in one’s success recipe along with hard work and determination. How my love story ended!